So I wanted to give readers (and web surfers) more than just last year's Valentine post to check out as the holiday approaches. 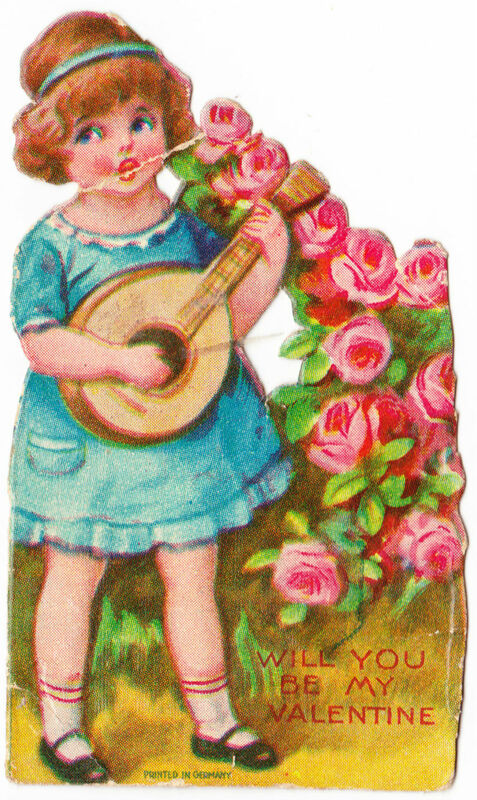 Here are some more vintage cards — small and perfect, not billboard-sized and covered with lace and foil, like the kind you find new in card stores today. 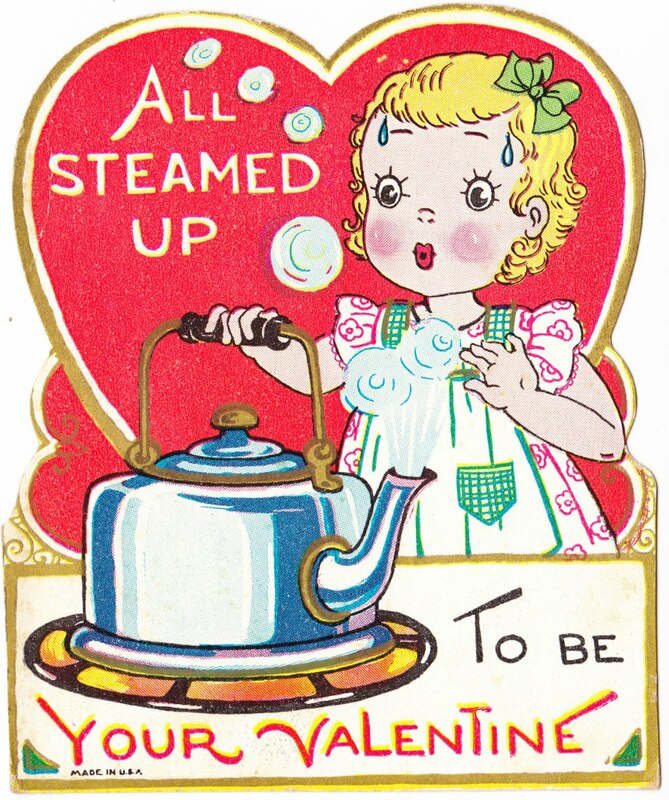 Above: "All Steamed Up To Be Your Valentine." Made in U.S.A. Pencil inscription on the back states "To Thelma From Opal." This one is my favorite from today's lot. Above: "Will You Be My Valentine." Printed in Germany. Only 1⅞ inches across. No inscription. 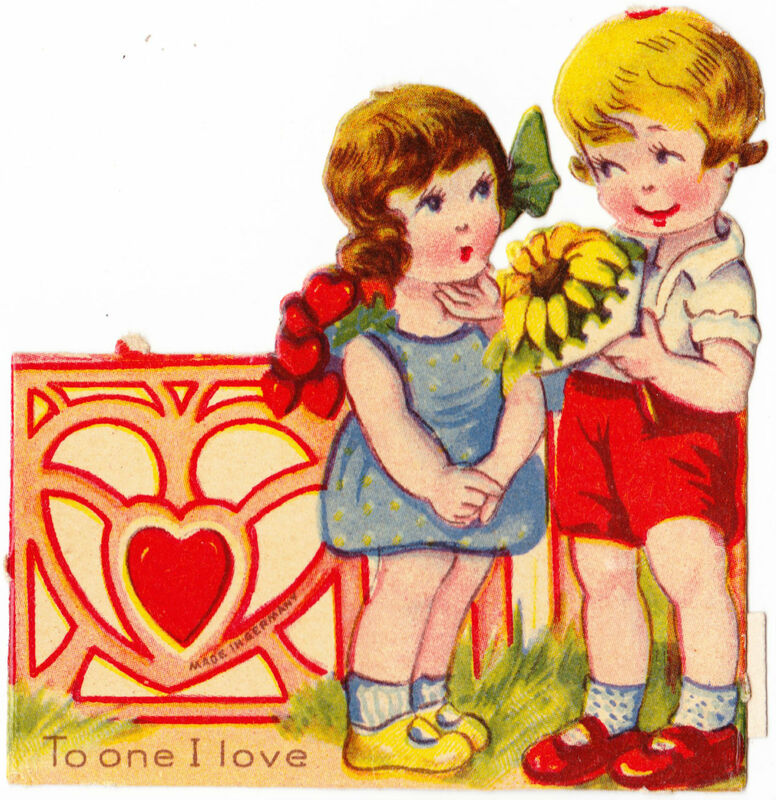 Above: "To one I love." Made in Germany. Pencil inscription on the back states "Wilma" and, under that, "Mrs. Putman."